I have no reservations about recommending TRIFORCE to anyone looking for a complete Management and Logistics software package to increase their efficiency with minimal overhead and at low cost of operation. The constant flow of new features and enhancements at no extra charge is a fantastic bonus allowing us to keep our version always up-to-date with barely any overhead. TSI Systemgroup Inc. is the Canadian publisher of a full cycle, dynamic enterprise management solution with a proven ROI. Our TRIFORCE solution will automate your business processes, bridge your divisions, departments, companies, and locations, and manage the critical flow of your documents and information. With TRIFORCE, you have a solution that will streamline your operations and improve your response time – ultimately boosting your bottom line. A leading-edge management solution must be flexible enough to meet your needs today, tomorrow, and in the years to come – no matter how much your business might change. TRIFORCE is engineered with this principle in mind and it will support your business regardless of how quickly or in what direction it grows. At Systemgroup, we are constantly enriching the TRIFORCE functionality ensuring it meets your specific evolving needs and complies with the growing body of standard business practices and regulatory compliance requirements. We welcome your feedback in this process. 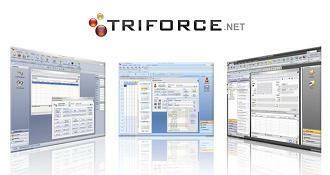 By working together, we’ll ensure that TRIFORCE anticipates and exceeds your business needs. Our clients are best of breed enterprises that enforce their competitive edge through a culture of ultimate productivity with the least amount of overhead. With TRIFORCE.NET they get information on demand, management by exception, and superior relationships with their sales people, customers and suppliers. Copyright (c) 2019 TSI Systemgroup Inc. All rights reserved. Various trademarks held by their respective owners.